ICM Climber with custom spray applicator. 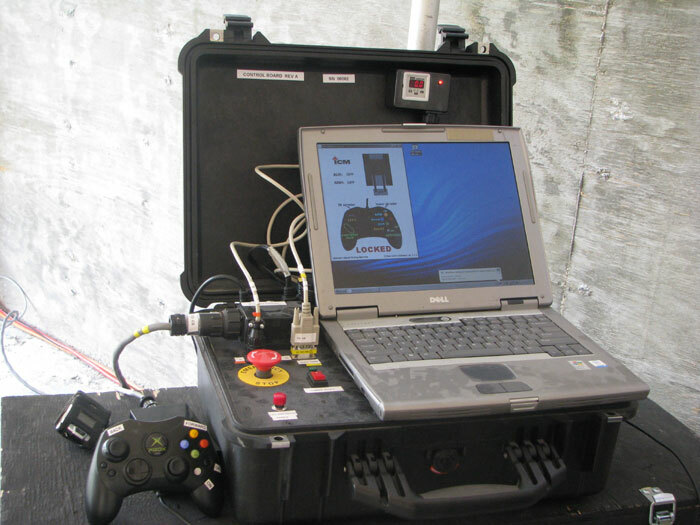 The technology evaluation demonstrated the ability of the remote system to spray fixative products on horizontal and vertical concrete surfaces. 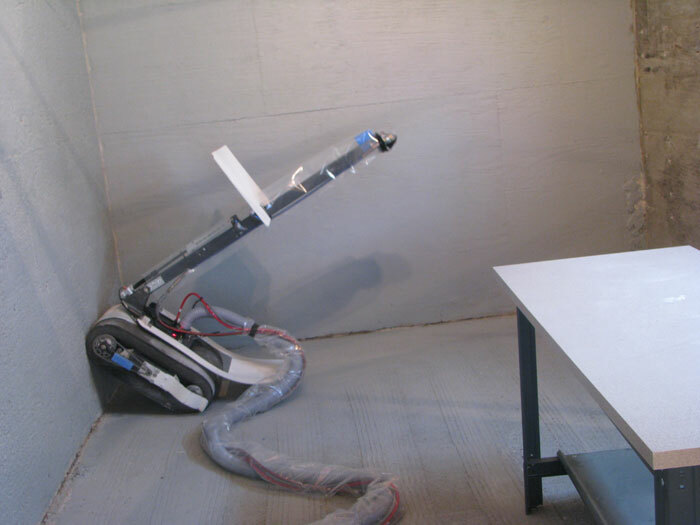 With the climbing machine positioned on the wall, the 4-foot boom attachment was capable of spraying the ceiling to a distance of 5 feet from the wall. The climbing machine also sprayed the top 4 feet of the wall while positioned on the wall. From the floor, the climbing machine was then able to coat the lower 6 feet of wall as well as the floor surface.